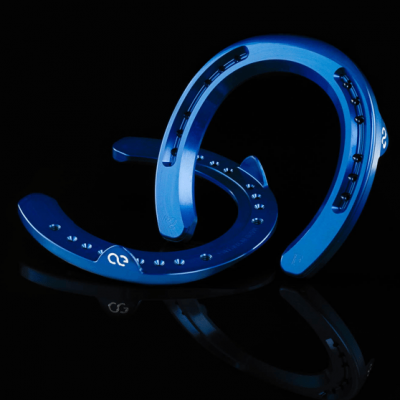 The MonoBloc Velocity Racing Horseshoe is the perfect combination of unbeatable performance and thoughtful engineering. 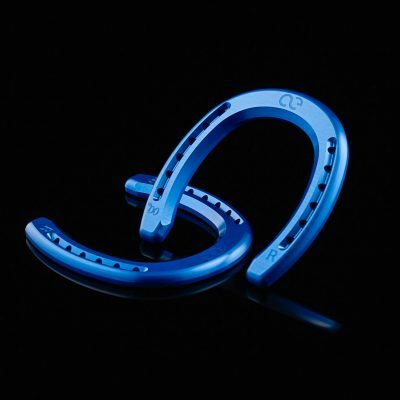 Meticulously crafted out of solid 6061 T6 Aircraft Grade Billet Aluminum, the Velocity Racing Horseshoe offers uncompromising durability. 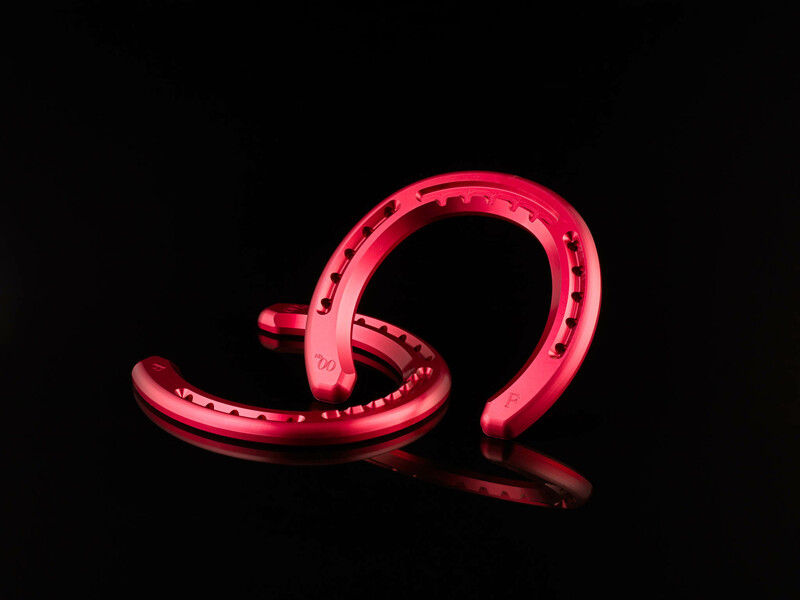 When every second counts, the MonoBloc Velocity Racing Horseshoe’s ultra-light construction will provide a free range of motion, reduced loading and enhanced balance while remaining 65% lighter than a tradition steel horse shoe. 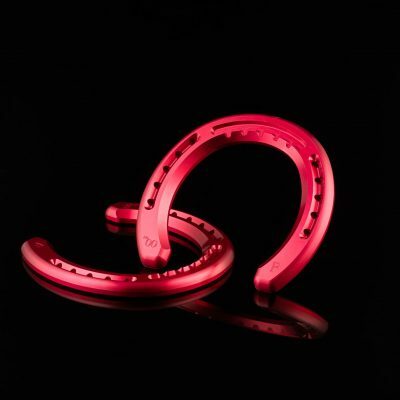 The Velocity Racing Horseshoes are not only engineered to help a performance horse’s in the arena but also help them to move correctly. 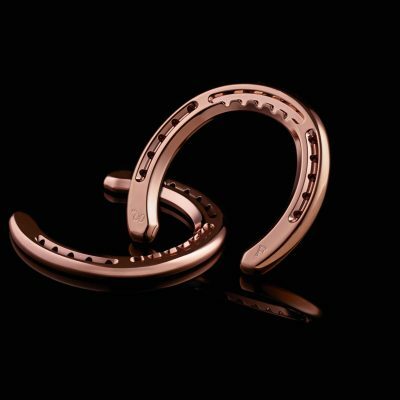 The rolled front infinity edge encourages a faster breakover while also providing ample sole support. 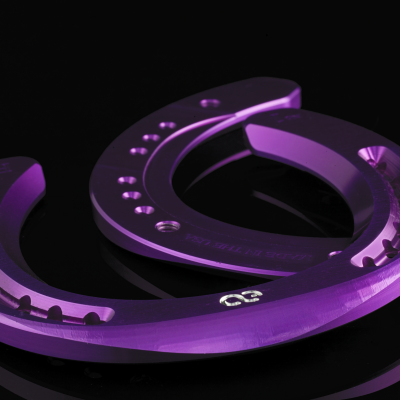 The width of the branches of the shoe, which are wider than a traditional racing plate, helps to maintain hoof wall integrity as well as providing ample heel support. 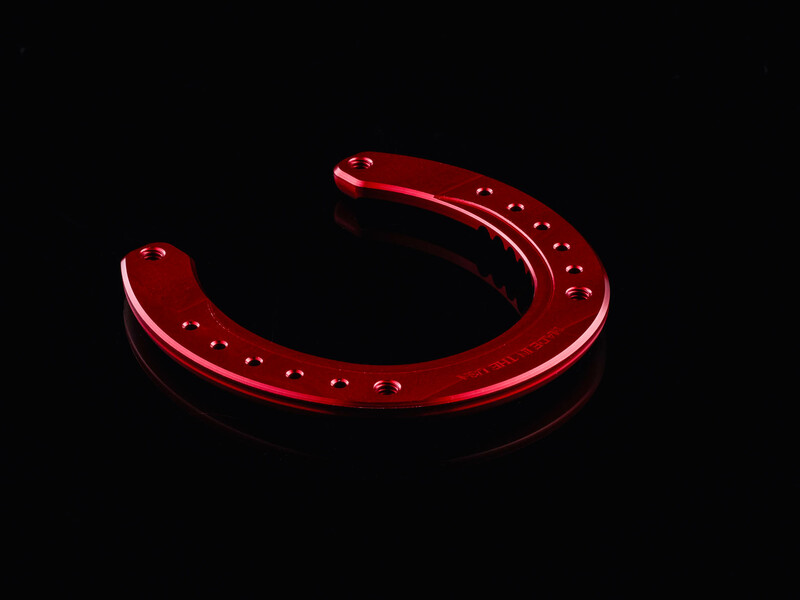 Finally, the Velocity Racing shoe features a unique traction design in the toe, in place of a traditional wear bar. 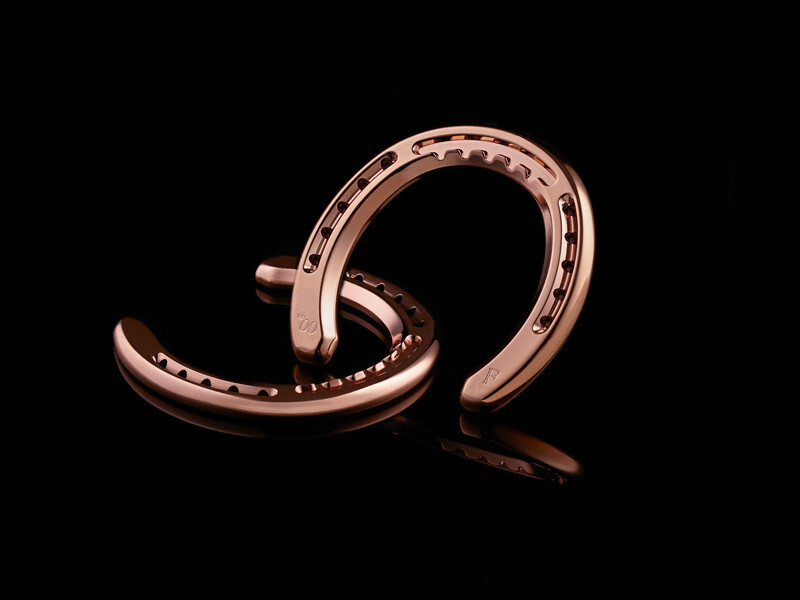 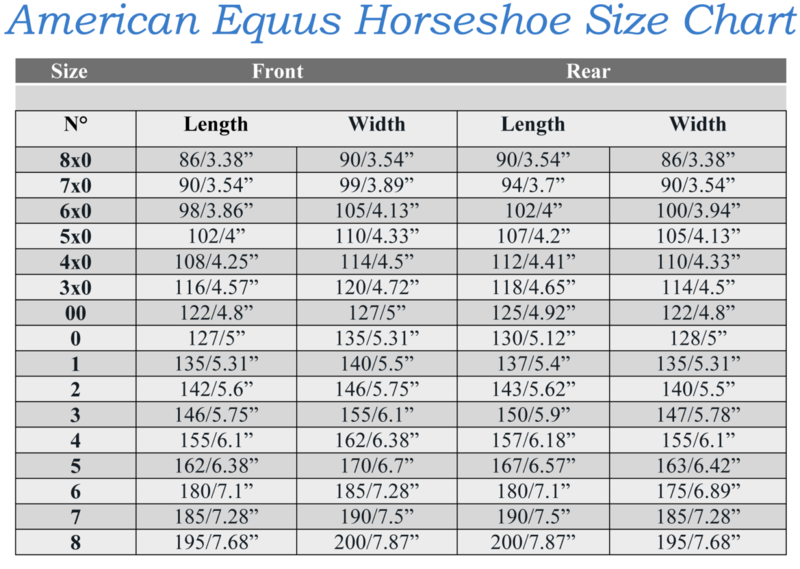 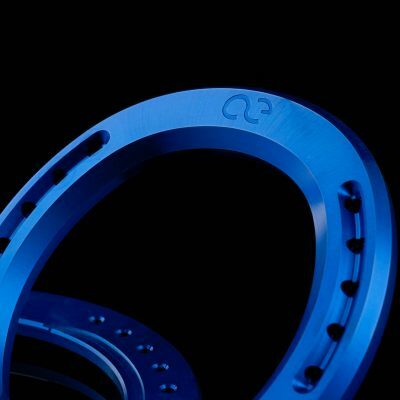 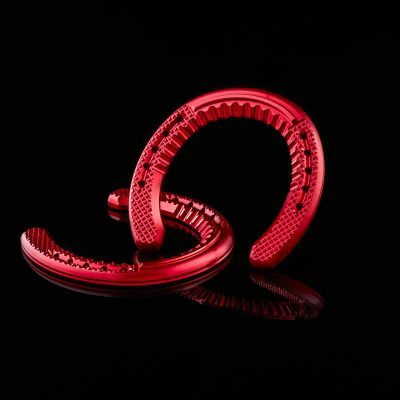 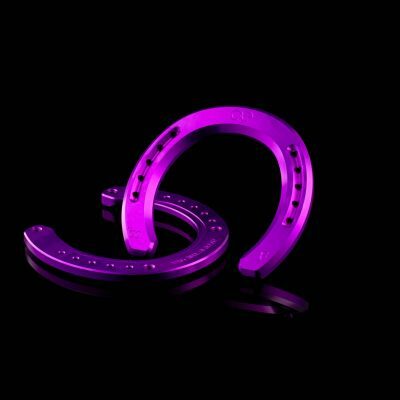 All American Equus horse shoes offer precise sizing that helps farriers achieve a secure fit for each horse. 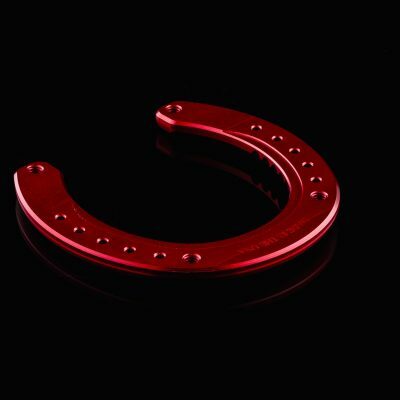 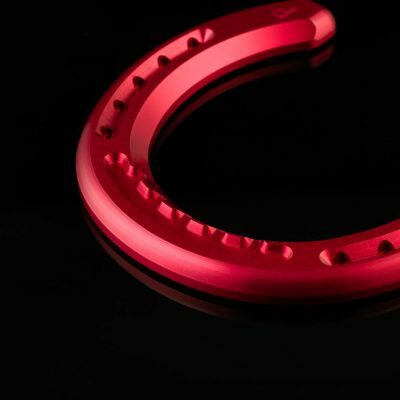 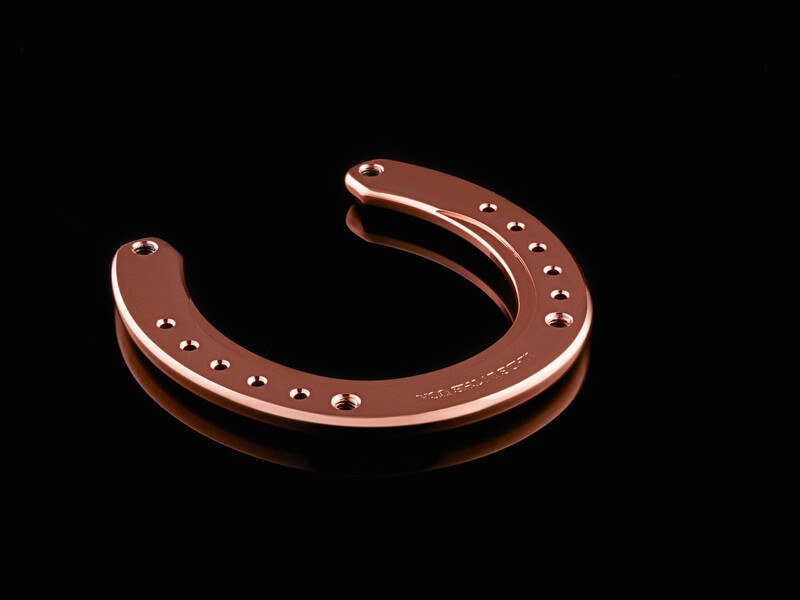 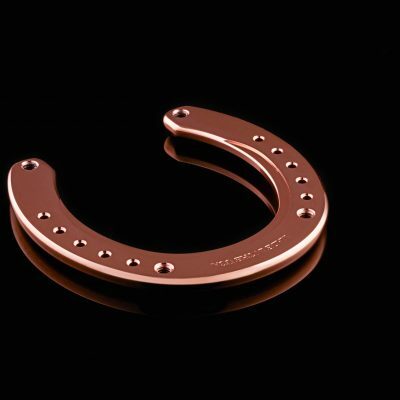 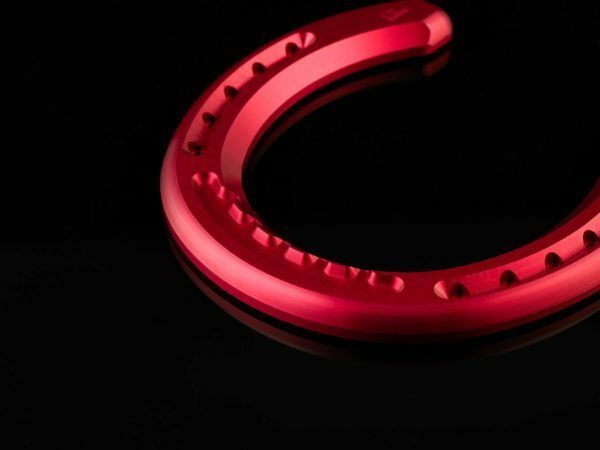 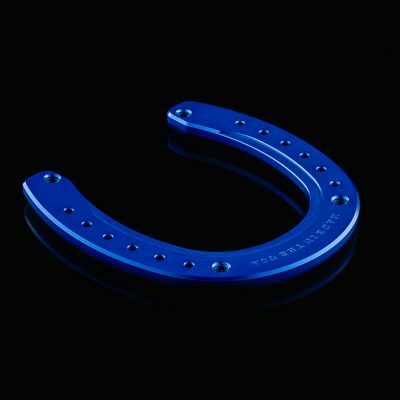 The Velocity Racing Horseshoe is guaranteed to hold its integrity for the entire shoeing cycle.